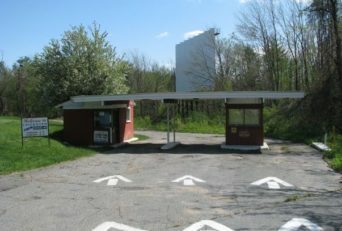 The Leicester Drive-In Theatre, Inc. has a proud 50 year history of providing wholesome movie entertainment for families and the community. It is an authentic, old-fashioned slice of Americana, having changed very little since its doors first opened in 1967 to what was then a single screen theater. On its opening night, Elvis Presley’s classic, “Double Trouble” was shown to a sold out crowd of more than 800 cars.